Chronos Kodi addon is a rapidly developing new IPTV service. If looking to replace the ever so popular Made in Canada IPTV channels addon, may it rest in peace, you’re in luck. These two add-ons share many similarities including Live TV, Live Sports, Austria, Sports, Movies, Concerts, and 24/7. This rapidly expanding IPTV channels playlist addon may soon take its place as the predominant Kodi IPTV channels resource. Stream Free IPTV Channels Privately! Click Kodi System > File Manager > Add Source. Click <None>, enter http://www.skydarks.com/skydarks/, name it skydarks and click OK.
Click Kodi Add-ons > Add-ons browser > Install from zip file. Select skydarks and click repository.skydarks-X.X.X.zip to install repo. Next, click Install From Repository > Skydarks Repository > Video Add-ons. Click Chronos then the Install button. 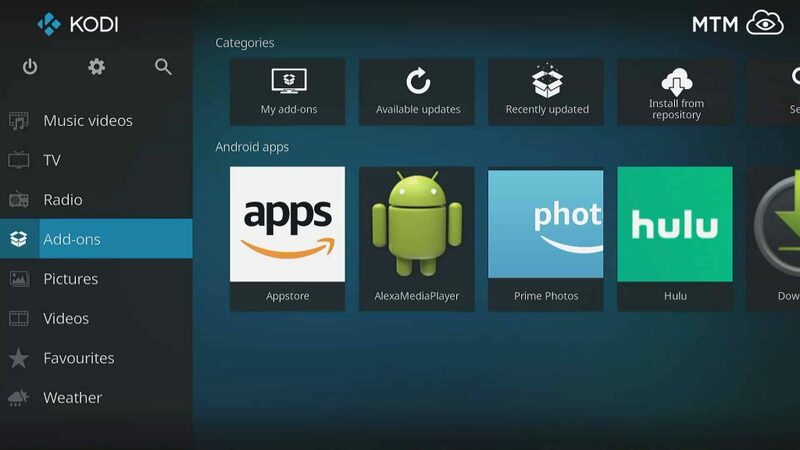 You must first make some security setting shifts in Kodi before XBMC Foundation will allow installing third-party addons on Kodi 17 Krypton or newer. 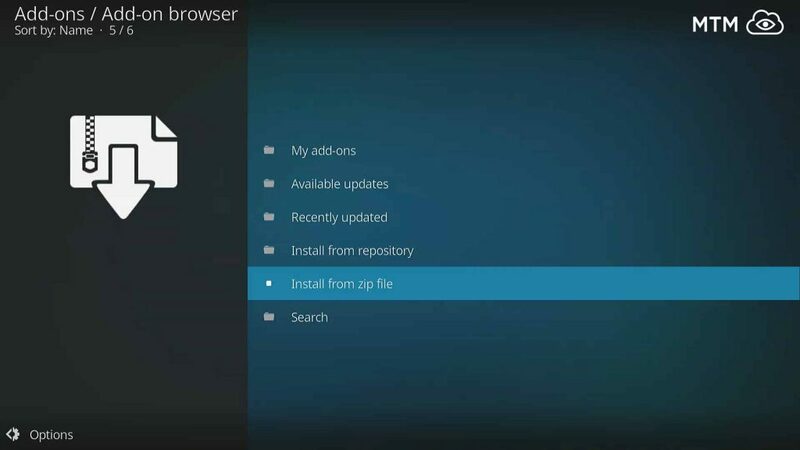 Check out our Enable Unknown Sources guide to get Kodi ready for installing Chronos IPTV. This step is extremely important. Without this system setting in Krypton and newer switched on, Kodi will not allow the source location to be used. On Kodi’s main menu, click on the System icon that looks like a gear cog. Carefully enter their http://www.skydarks.com/skydarks/ URL and click OK. Enter skydarks in the lower text area, check for typos, then click OK.
Head back to Kodi main menu and click Add-ons. Then, click the Add-ons browser (AKA Package Manager) open box icon located at the top-left. Next, click Install from zip file. Select skydarks from the pop-up window. Wait for the notification in the top right to inform you that Skydarks Repository Installed. While in the Add-ons browser click Install from repository. Go into Video Add-ons with the Skydarks Repo. Finally, click the Install button to install Chronos IPTV Kodi addon! Your Kodi setup is now blessed with a great IPTV channels addon. You’ll soon find Chronos a great alternative to the sorely missed Made in Canada IPTV playlist Kodi addon. When you launch Chronos, if you’re 18 or older, we recommend you enable adult content to unlock the full range Chronos has to offer. Once open, you’ll be presented with an extensive list of categories, well organized alphabetically. When first created, Chronos was heavily focused on German-language content, but this is no longer the case. There is still a dedicated Austrian IPTV section active to show its roots, though. Overall, this addon offers excellent stream quality with minimal broken links. Buffering and other technical issues are also mostly non-existent. Chronos IPTV channels Kodi addon has been gaining traction since the death of Made in Canada and is becoming an excellent alternative to its Canadian friend. This addon is being actively expanded upon, and the developer’s efforts are evident in this quality IPTV channels addon. Now that you have the most fabulous IPTV alternative to the Made in Canada addon, you can watch a nearly unlimited stream of online TV channels from all over the world. There aren’t many high-quality IPTV add-ons available currently, so we’re very pleased to bring you Chronos! With a quickly growing catalog of IPTV channels to choose from, you’re sure to find what you’re looking for and a whole lot more. The consistent updates indicate the developers are invested in Chronos and it is sure to keep improving. You may ask, will it ever fill the shoes of Kodi Made in Canada IPTV channels addon? We certainly think so and confidently recommend this IPTV addon to everyone searching for a great source of IPTV channels in Kodi. This fantastic Kodi IPTV channels addon has many viewing options available for your entertainment. Give it a try on the latest Firestick and Fire TV , the most popular Kodi streaming devices available! Make sure to do so from the privacy and protection of a securely encrypted VPN, though. Most streaming servers record and log the IP addresses of their visitors, but with IPVanish VPN your personal IP address is never known to anyone on the internet.